Colin Cowherd is popularly known as the ESPN Radio’s and ESPNU’s The Herd with Colin Cowherd’s excellent host. Cowherd was formerly a co-host of ESPN2’s Sports Nation. For his excellent work as a host, Cowherd has won several honors like Sports Illustrated’s 2005 Radio Personality of the Year, he was voted by the National Sportscasters and Sportswriters Association thus becoming Nevada’s Sportscaster of the Year for a total of five times, was the Best Pundit of 2012 for his sports calculation as rated by PunditTracker. Colin is an interesting sports host and is adored by his listeners for his accurate sports predictions. Regarding his personal life, Cowherd is married twice and has six children, two children from his previous marriage and four step-children. 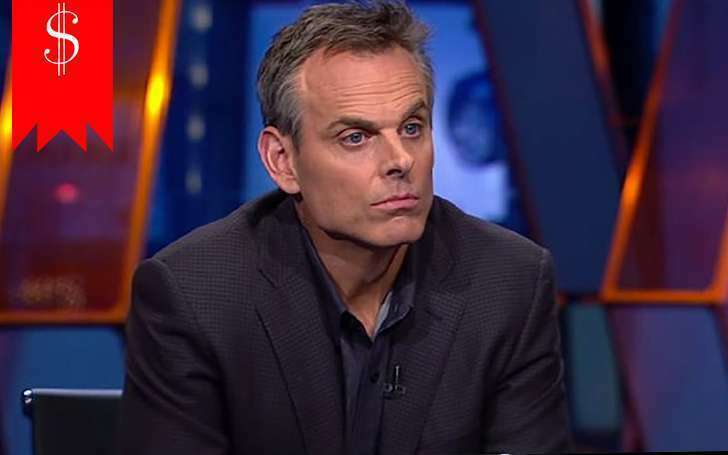 Colin Cowherd was born on 16th January 1964 in Grayland, Washington, the United States of America. 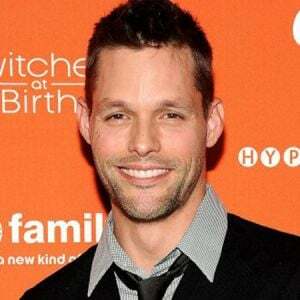 His father Charles Cowherd was an optometrist and his mother Patricia Cowherd was a housewife. Colin describes his childhood as “dark and idyllic”. His parents, Charles and Patricia divorced when Colin was of tender age and he recalls that he was not much closer to his elder sister, Marlene Cowherd either. His father married eight times and his mother was divorced three times which is the reason why he considers himself “a child of divorces." He and his sister Marlene were raised by his mother Patricia after their divorce. Their mother tragically died in 2014 which the American sports media personality announced through his Twitter post later that year. Cowherd once recalled his childhood memories where he used to listen to baseball games on the radio sitting on the roof of the house. Colin was also interested in basketball and wiffleball. He used to play these games alone. Colin went to the Eastern Washington University. After graduating, Cowherd commenced his career as the play-by-play voice for the Las Vegas Stars of Pacific Coast League. Later he went on to become a sports director at KVBC-TV based in Las Vegas, Nevada. While working for KVBC-TV Colin was titled Nevada’s Sportscaster of the Year a total of five times. Looking at his successful work he took on to become a sports anchor on weekends at WTVT-TV based in Florida. Colin shifted from Florida to Portland, Oregon in 1996 and immediately started working as a sports anchor for KGWTV. Then The Herd shifted from the afternoon time slot on all-sports radio KFXX to the morning drive time in the year 2001. Two years after that he worked in the late morning time slot from morning 10 am to 1 pm on ESPN Radio. In 2005, Sports Illustrated magazine named him Radio Personality of the Year. 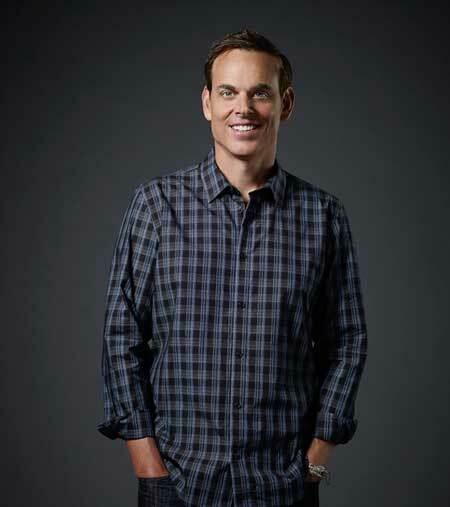 His show The Herd with Colin Cowherd is a syndicated talk show that is exclusively broadcasted on ESPN Radio which is linked throughout the United States and online at ESPNRadio.com. The Herd included a simulcast on ESPNU in 2008. The show focuses on commentaries on sports news, viewpoints on other vital news stories and interviews with various sports personalities. 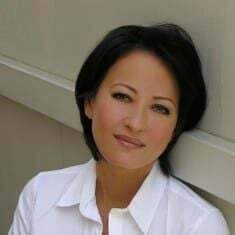 During the second segment of the show, Colin presents a featured segment known as Spanning the Globe that talks about the imperative news around the world. Colin has also been a co-host of the ESPN2’s TV show SportsNation from 2009 to 2012. In September 2012 Cowherd announced that he would be leaving the show as he cherished working in radio more than in TV. He also said that radio was his friend. Thus, he wanted to focus more on the radio than diverting his mind on television. In the same year, he was rated the Best Pundit of 2012 for his sports predictions by PunditTracker. The next year he became the host of ESPN Sunday morning pro and college football talk show titled Colin’s New Football Show. Colin’s “Blazing Five” segment in his show also has been particularly famous. In this very segment, he picks five games each week between teams and shares his enthusiastic predictions. In his time in the broadcasting career, Colin Cowherd has been criticized a lot for his actions and statements as well. Cowherd was once criticized brutally by George Solomon who is a former ESPN ombudsman, for his statement given on the news of the death of Eddie Guerrero who is a world-famous World Wrestling Entertainment (WWE) wrestler. Again he was criticized for passing on a comment regarding the news about Sean Taylor’s death. His mean comments get Colin into a huge amount of trouble. Cowherd was yet again criticized for using a small joke on his show which was originally posted on a University of Michigan fan blog named M Zone. Colin did not even give a little credit to the M Zone after using their joke. 50-year-old Cowherd describes himself as both fiscally conservative as well as a social liberal. Once in his own show, he described himself as an essentially agnostic personality. Colin Cowherd has an estimated net worth of $14 million as per Celebrity Net Worth whereas, his net worth is estimated to be $12 million as per The Richest. Cowherd earns a salary of $2 million from his work. In 2015, Cowherd bought a house worth $3.095 million at Tree Section area of Manhattan Beach. Prior to this, he sold his West Hartford's house for $1.15. He also has a house in Florida costs $4.25 million. Cowherd released his first ever book named You Heard Me! I’ll Say It If Nobody Else Will in 2013 worth $12.99 in Kindle, $9.34 Hardcover, and $12.73 in Paperback. Colin Cowherd is married twice. At first, he married Kim Ann Vadala on 30th March 1996. Colin often calls Kim as a strong and independent woman. The couple shares two children together. The couple got divorced in 2007 after spending over a decade as a married couple. After their divorce, their children started living with their mother. 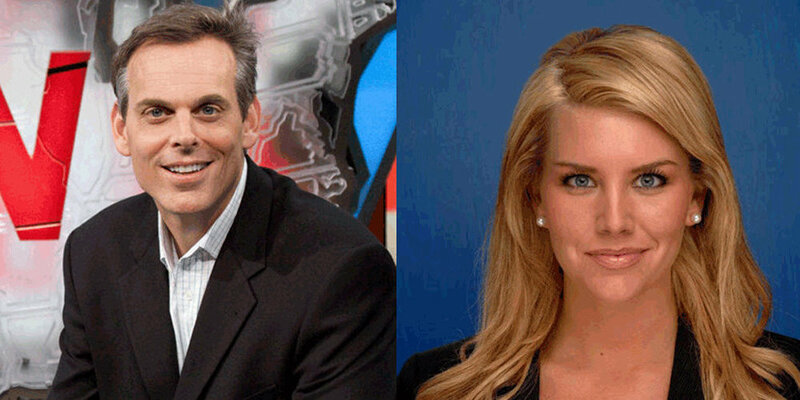 Cowherd finally moved on from the painful divorce after he met his now wife, Ann Cowherd. The couple tied the knot in 2010 in a private ceremony attended by their friends and families. Before getting married to Colin, she was married to her first husband with whom she shares four children. Cowherd doesn’t talk much about his personal life and his divorce from Kim but Cowherd stated that he was happy to meet his children during holidays. Height: Colin Cowherd stands at a height of 6 feet 2 inches. Weight: Colin Cowherd's body weight is estimated to be around 83 kg (184 pounds). 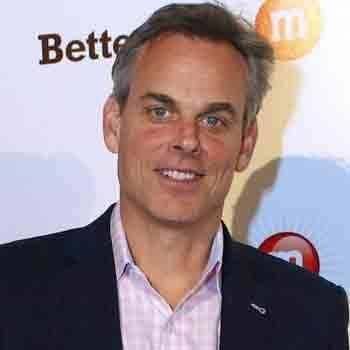 Age: Colin Cowherd is aged 50 years as of 2019. How is the second married life of TV Personality Colin Cowherd. Why did he divorce his first wife?